Car crime is soaring in England and Wales, with Home Office figures showing a huge increase in the number vehicle thefts. 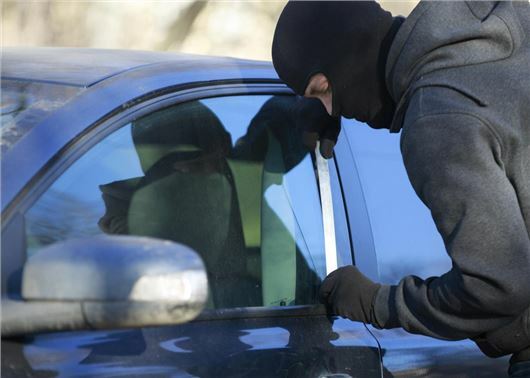 Official crime statistics for the 2017-18 financial year show 111,999 cars and vans were stolen in England and Wales, up almost 50 per cent on the 75,408 that were taken in 2013-14. Thefts from vehicles were also up with 280,032 cases being reported to the police, compared to the 276,366 incidents five years ago. Motoring groups are blaming the Government for the crime wave, with police cuts making it easy for thieves to steal cars with impunity. The RAC labelled the figures as "depressing" and said it portrayed the UK as a place where it was "too easy" for gangs of thieves to break in and steal vehicles, with fewer police officers to catch them and bring them to justice. "From 2013 to 2018 we lost 5975 police officers, but looking further back to 2006 the story is even worse with 21,958 fewer officers which represents a 15 per cent reduction," said RAC insurance director Mark Godfrey. “In 2018, nearly 120,000 thefts were reported, the equivalent of one being stolen every five minutes or 300 a day. The current financial year has also not started well, with nearly 60,000 vehicle thefts already recorded up to the end of last September." Use a visual deterrent - Time is of the essence to thieves and most will shun vehicles that increase the odds of being caught. That’s why proven devices like the Disklok are useful because they present a physical barrier that requires significant time and effort to remove. Fit an alarm, immobiliser or tracker - Alarms and immobilisers are not standard on every car in the UK. That’s why it’s important to invest in a good system that will draw attention to anyone who tries break into your car and stop them from driving away. For upmost peace of mind, fit a nano tracking device that will allow the police to pinpoint the car's location in the event of it being stolen. Use a Faraday bag to prevent keyless theft – Criminals are developing increasingly high tech ways to steal cars. One method is to boost the keyless signal (from within your home) with a relay box. Once boosted, the car will unlock and (in some cases) allow the thief to drive away. However, from as little as £10, you can get a Faraday bag that blocks electromagnetic fields and stops the radio frequency being amplified. Park smart - Not everyone has the luxury of a driveway or large, secure garage to store their car in. However, if you do park on the street, be sure to use well-lit areas that are clearly visible to passing traffic and pedestrians. Many city centre streets use CCTV and it's wise to note their locations and (if convenient) park within their field of vision. When using public car parks, be sure to use the bays near the entrance/exit as these will be better lit and covered by security cameras. Never leave anything valuable on display – Loose change, cardboard boxes, plastic bags, electronic charging leads – they’re all adverts for thieves. Even a sucker mark of a sat nav holder on a grubby windscreen is a sign that there might be an expensive bit of tech hidden in your car’s glovebox. Always be mindful of what's on display in your car and never give a thief an open invitation for a smash and grab. 3. More people buying high-end (desirable by criminals, and easily sold overseas) cars on (what seems at the time to be affordable) PCP deals, not just new ones, but second hand ones as well. Not helped when many people in this latter category are not so well off and live in flats or terraced housing and often have to park their car away from their property (often out of sight), whether on the road or in a communal car park, which rarely have CCTV that is monitored, let alone 24/7. Keyless entry cars are bought and used by complete idiots who have ZERO perception of signal interception and no knowledge of this. ( Example Friend of mine forgot to lock his car so used his mobile phone to transmit signal to lock car which was metres away out of sight, he thought it was clever my thoughts were 'Well Done because anyone with intent on capturing a signal has been offered so on a plate, try to explain to him ? Might as well tell the moon to come closer to earth ) So whilst we have this stupid mindset the criminals will always win.